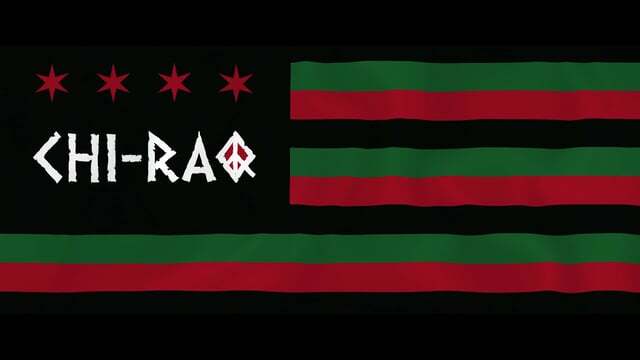 Chi-Raq (mostly) successfully combines the over-the-top comedy style of the Greek play with the tragic, rhyming melodrama of a Shakespearean work. The two tones erratically dance around each other, sometimes finding themselves in a complementary step. Throughout the film, their clashing is noticeable because the pacing and tone are both in an awkward state of flux as they step on each other’s feet. The only benefit of the tonal dissonance is that the film makes an obvious separation between when it is purely doing something for the entertainment value, and when it is trying to make a serious point. Spike Lee uses Chi-Raq as a vehicle to recognize the true source of all the violence, as well as its historical roots in Chicago. Lee uses the story of Lysistrata to draw parallels between war-torn Greece during the Peloponnesian War, and the battlefield of Chicago, unlovingly dubbed Chi-Raq by a multitude of rappers. He contemporizes the story by making it relatable to most recent generations. Instead of warring countries, we get warring street gangs named after Greek figures. There are even several mentions of Tupac Shakur and Notorious B.I.G., whose famous rivalry resulted in both of their deaths. The cast is full of heavy hitters, like Angela Bassett, Samuel L Jackson, and John Cusack. The real surprise comes in the form of our powerhouse leads Nick Cannon and Teyonah Parris, who give us dynamic performances we had yet to see from them. Cannon is unlike any character he has played before, wielding rage and anger with the same ease his character weilds a Glock. Parris takes command of every scene she is in, sometimes even overshadowing Jackson’s natural showmanship as the narrator. She shows her character’s true power through her iron resolve and her use of sexuality as a weapon that both tantilizes and instills fear. Jennifer Hudson provides the most bittersweet performance in the entire film. Her history with the Chicago south side and the personal tragedy it holds were obvious fuel, and her passionate performance is the proof. Beneath the comical overtones and stylized sexualization is a message of immediacy about a situation that needs more introspection to find a solution. Living in Chicago, I know too well the true darkness and devastation of the violence plaguing our southside. Through a sort of satire and overdramatization, Lee uses his characters to give us who he believes to be the true culprits at the root of the problem. Through actual preaching and recounting of the past, Lee explains to us the causes, like systematic oppression, mass incarceration as a new form of slavery, and government supported gentrification in the hopes of displacing specific, “undesirable” groups of people. It is easy to misinterpret Lee’s tone as one of irreverence, especially through some of the farcical scenes. This film is fundamentally flawed, but not for the reason you might think. The themes and messages are powerful if you listen to them, but are ultimately applicable nationwide. The specificity of the problem in Chicago is only presented through statistics and a tie-in or two of Chicago-specific historical events. Beyond that, it could really be about any location with a high death count. Much like how West Side Story was about race relations in America, Chi-Raq becomes an equally well-choreographed look at the problems we face as a nation, not just in Chicago. My biggest problem with the film, aside from its uneven tone, is that when it came time to show the real carnage that is supposed to be the catalyst for the series of events, it plays it safe. Chi-Raq shies away from showing the true brutality and loses the opportunity to be effectively emotionally visceral. The film’s main focus is to try to shock people out of their complacency, but Chi-Raq can’t fully achieve that if it refuses to show its genuine, graphic nature, especially when the evening news shows more. Lee struggles with juggling different themes and movements as he tried to incorporate them all into 2 hours, including the Black Lives Matter movement. It is great that he at least mentions them and addresses more global problems, like police brutality, but there isn’t enough time to give each one the amount of spotlight it deserves. One of the biggest messages likely to get misinterpreted is Lee’s acknowledgement of the moniker “Chi-Raq”. In the film, “Chi-Raq” is personified as a rapper and leader of the Spartans. He is shown as being one of the main people terrorizing his own community and perpetuating the cycle of violence. Only when he accepts responsibility for his part in the violence does he gain his real name back. By acknowledging something, you give power to it, but ignoring it will leave it unchecked to gorge itself on apathy and avoidance. Chi-Raq is the name we’ve been unwillingly given, but like the issues that created it, they must be faced head on and changed. In no way should Lee’s acknowledgement of that odious psuedonym be interpreted as acceptance, but more as a challenge to do something about it to change it. In that regard, Chi-Raq is Spike Lee’s most socially responsible and politically relevant narrative film since Malcom X.